The Overview Effect is a cognitive shift in awareness reported by some astronauts and cosmonauts during their spaceflight. As Edgar Mitchell of Apollo 14 has said: "You develop an instant global consciousness, a people orientation, an intense dissatisfaction with the state of the world, and a compulsion to do something about it. From out there on the moon, international politics look so petty." Viewed from the moon, or even from space, about 300 miles above the earth's surface, our planet takes on a new perspective. Largely blue, borderless, and hanging like a fragile sphere with the infinite space in the background, with a paper-thin atmosphere that nurtures life - just think about it, in an universe comprised of millions of galaxies, billions of stars, countless planets, an unknown number of black holes, this planet of ours is the only one known so far that has life on it. As Stephen Hawking has said so profoundly: "The solar system is not even a speck in the universe." Astronauts have said that looking from space, one suddenly forgets all the myriad differences, the squabbles, the jostling for power and pelf, and the mindless games that people play, and one feels the need, indeed an intense desire, to unify people and to protect and preserve this beautiful blue dot. The Overview Effect is named after the Overview Institute founded by Frank White who says: "There are no borders or boundaries on our planet except those that we create in our minds or through our behaviors." There is enough empirical evidence to suggest that as individuals, those who want to do good far outnumber those who want to harm others. 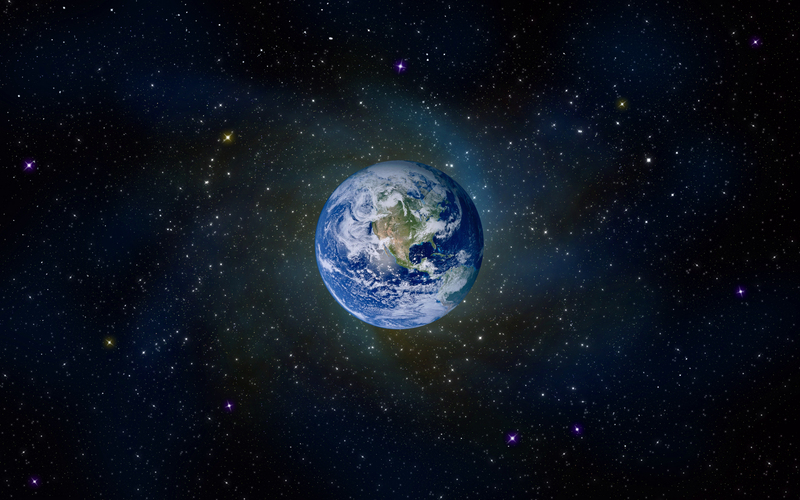 Experts have projected that the population on earth would reach 10 billion by the year 2100. Nearly half of this would be in one continent - Africa, currently perhaps the most neglected of continents. Can you imagine our planet with almost half the people being in some way disconnected from the rest? In this season of joy, of hope, of kindness, of truth and righteousness, of compassion, of caring for the less privileged, let us pause for a moment and think how we can do good in any way we can. Ever wondered what distinguishes exceptional teams from others? Coined by Harvard Professor Amy Edmondson, psychological safety has been found to be at the heart of great teams. She defines psychological safety as "ashared belief that the team is safe for interpersonal risk taking" and explains that psychologically safe environments exude "a sense of confidencethat the team will not embarrass, reject, or punish someone for speaking up." It is important to remember that psychological safety is not the same as trust. According to the American Psychological Association, a majority of Americans experience a high degree of stress (https://www.apa.org/news/press/releases/stress/2012/full-report.pdf). More than half of it is work-related. The disturbing news is that most of these are not even diagnosed and hence are not treated (http://journals.lww.com/psychosomaticmedicine/pages/results.aspx?txtkeywords=Stress). Here are 7 ways you can reduce stress. These are based on scientific studies and the advice of experts. Look around you. Everyone seems to be in a hurry. Multi-tasking (even while driving) is the norm. Slow down. Breathe deeply. Prioritize. Stick to one task at a time. Take a 7-minute break every hour. Remember: Results are more important than the time it takes to achieve them. Extraordinary changes have occurred in the customer experience landscape over the last few decades. The notion of standardized products and services for in inter-connected world has given way to the imperative for personalization as the key driver for marketing success. Customers expect to be recognized on every channel. Customers assume that any experience they initiate on one channel or device can be picked up right where they left off when they switch to another channel or device. Customers expect to be able to interact with a company 24/7 – whenever and wherever it is most convenient for them. Organizations find it exponentially difficult to execute a personalized marketing strategy across channels and devices, because of the increasing number of technologies and the resulting complexity. Organizations need to learn (and learn fast) how to declutter the marketing technology stack (please see BCG’s illustration below). Peregrine Academic Services is the globally recognized leader in providing online exam services for colleges and universities related to program-level assessment, academic leveling, and writing style competency course. We are your thought-partner in higher education.